Martha writes to Richard to ask if he would fill out the Recommendation Blank for the Achievement Award that year. 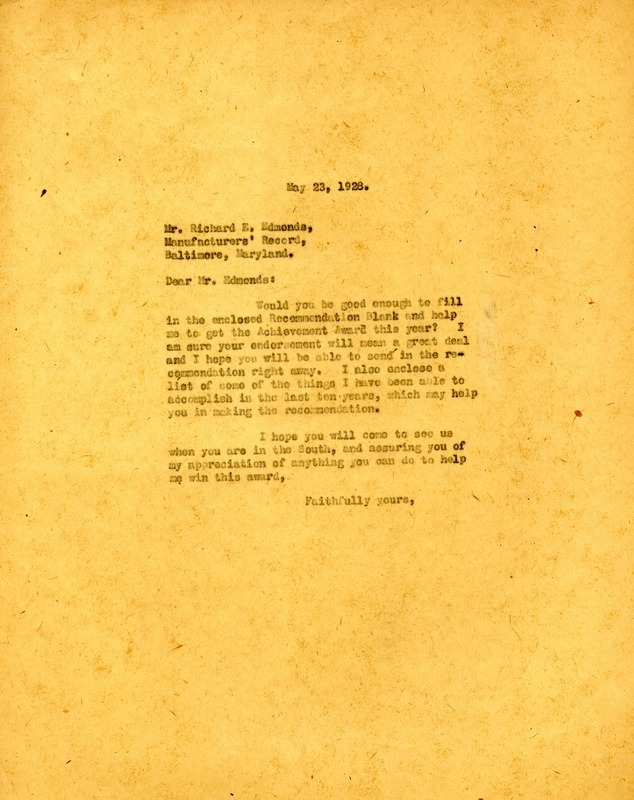 Martha Berry, “Letter to Richard Edmonds from Martha Berry.” Martha Berry Digital Archive. Eds. Schlitz, Stephanie A., Jessica Hornbuckle, Aaron Jackson, et al. Mount Berry: Berry College, 2012. accessed April 19, 2019, https://mbda.berry.edu/items/show/7331.